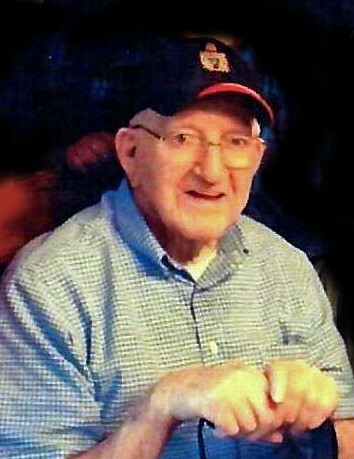 Floyd Watkins, age 96, of Appleton passed away with his family at his side on Thursday, March 21, 2019 at Brewster Village. Floyd was born on March 2, 1923 in Chicago, IL. His family moved to New London and Floyd graduated from Washington High School in 1941. He enlisted in the U.S. Army and served during WW II. He married Barbara Brautigan and they shared 59 years of marriage together. They were long time members of Sacred Heart Catholic Church, Appleton. Floyd worked at Appleton Papers as a supervisor; retiring in 1986. He was an avid Wisconsin sports fan. Floyd and Barb enjoyed time spent at the cottage and many bus trips after retirement. Floyd is survived by is loving wife, Barb of Appleton; children: Pat (Barbara) Miller, Greenville; Candy Miller, Appleton; and Floyd Watkins, Appleton; grandchildren: Kathleen (Todd) Sheridan, Scott Sheridan, Jennifer (Joe) Wall, John (Christy) Watkins, Ryan (Rachele) Watkins, Spencer (Helena) Watkins, Melanie (William) Spruill, Adam Watkins, Andrea (Jason) Stevens and Jonna (Brian) Peotter; 12 great grandchildren; daughter-in-law, Lisa Watkins and a dog, Penny Watkins. He was preceded in death by his parents; a daughter Pam (John) Ruckert and a son Scott Watkins. Per Floyd’s wishes a private graveside service will take place at Highland Memorial Park, Appleton. The family would like to thank the staff and nurses of Brewster Village for their wonderful care of Floyd and his family the past two years.